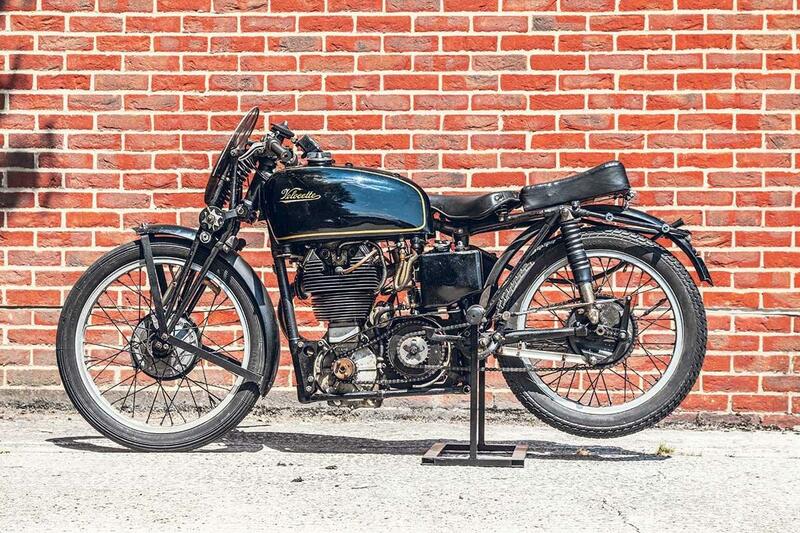 This MkVIII Velocette KTT is unquestionably one of the best-looking racing motorcycles of the pre-war era and just so happens to be one of the rarest. Just 49 of the 349cc single-over-head-cam racers were built, making this example a very desirable machine and one you could own yourself at the Devitt MCN Ally Pally Show, as part of our 74-bike-strong Bonhams auction. This particular machine enjoys some racing history and was ridden to 19th place in the 1939 Junior TT by Velocette racer Harold Lamacraft at an average speed of 75.99mph. With such history, this bike has understandably been given an estimated value of between £40,000 and £50,000. "Harry Lamacraft was sadly one of the RAF's wartime casualties. In the 1939 TT races he finished in 19th in the Junior, 16th in the Senior, and 12th in the Lightweight TT, riding an Excelsior in the latter event. "The machine also comes with a quantity of period photographs and a letter of authentication from marque authority Ivan Rhodes, which reveals that it was owned subsequently in Belgium by Noel La Haye. "Only 49 Mark VIIIs were constructed prior to WW2 and a further 189 up to the end of production in 1950. Today the incomparably handsome Mark VIII KTT is one of the most sought after of all British racing motorcycles."